Since joining Freemasonry two years ago, I have often been asked what prompted my decision to submit a petition. I wasn't a very typical candidate. I didn't have a Masonic family connection and I didn't have any friends that I knew to be Masons. So, for me, it really wasn't a plain and direct choice. Rather, Freemasonry was a destination I found on a circuitous path that began in the galleries of a Museum. Then, as now, I was involved with several different museums: the Isabella Stewart Gardner Museum, Worcester Art Museum, Worcester Historical Museum, the Massachusetts State House and I spent a great deal of time at the Museum of Fine Arts in Boston. The art museums are encyclopedic collections that range from Ancient Art to Andy Warhol. The historical museum and the State House contain objects with a localized American focus. As someone who is equally interested in ancient cultures and colonial history, these collective institutions were the perfect places to be. I've been intrigued by everything related to ancient Egypt for as long as I can remember. Part of my museum assignments center on creating sketches of works in the collections and I still enjoy spending productive hours surrounded by archaeological treasures from Egyptian tombs. My initial interest in Masonic themes was fostered in those rooms. I don't recall the exact progression of studies that led me from one point to another, but references to Freemasonry's esoteric and stylistic influences are encountered frequently the more you look into the history of modern Egyptology from the 18th to the 20th Centuries. I have a curious mind, and through additional reading, I very quickly developed a respect for Masonic philosophy and practice. The concepts of self-improvement and a deep connection with history, which are so inherent within Freemasonry, were things that I found appealing and wanted to learn more about. 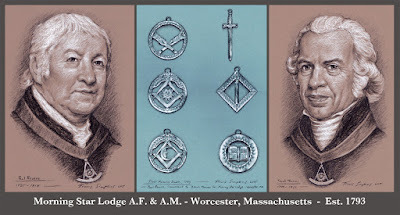 Masonic symbols and aesthetics interested me as well, and I'd spend a lot of time admiring a set of silver Masonic jewels created by Paul Revere in 1793 that were on display at the Worcester Art Museum. Also, a nearby gallery housed a collection of arms and armor that were inherited from the Higgins Armory Museum when it closed in 2013. Included among those objects was an early 19th Century ceremonial sword with a skull and crossbones on the hilt, utilized in the 28th Degree (Knight of the Sun) of the Ancient and Accepted Scottish Rite. My interest was piqued. 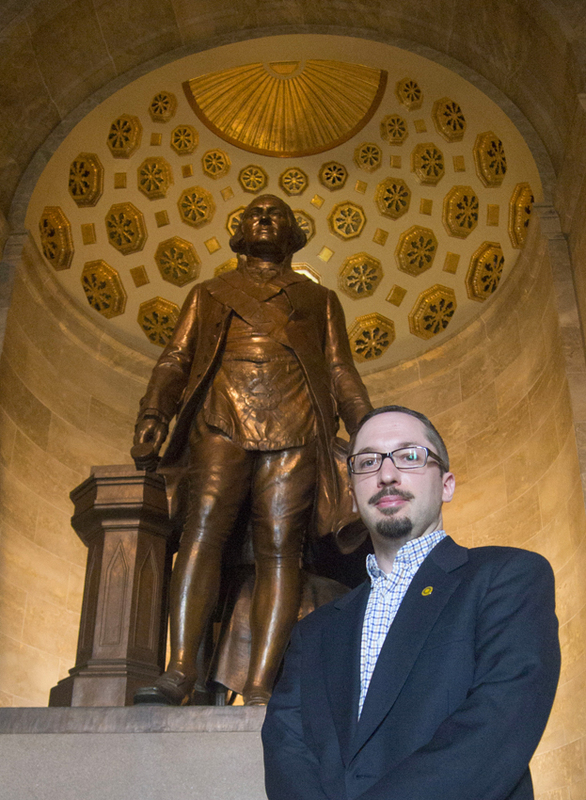 While watching a Masonic-themed documentary, I was impressed with the insights of one of the presenters, Dr. Mark Koltko-Rivera. I contacted him, explained who I am and that I was interested in learning more about joining. Brother Mark not only provided me with information, but he also directed me towards another valuable resource: Christopher Hodapp. Bro Hodapp was very helpful and his book, Freemasons for Dummies, was the catalyst in me taking the first step. In beginning the process of looking at local Lodges, I felt compelled to revisit the Paul Revere jewels at the museum. I had looked at the aesthetics of the jewels many times, admired their beauty, but I hadn't looked very deeply into their background. I suppose, because they were so old, I just assumed that the Lodge from which they originated was no longer active. After taking note that the pieces were on loan from Morning Star Lodge, I looked them up online and discovered that the Lodge was not only still active but that it was located within a mile of my downtown apartment. I did some more research, reading through the long history of Morning Star Lodge, and was fascinated by it's connection to the patriot Isaiah Thomas and other notable figures within the community. That was it. A few days later I sent an email to the Secretary, met with the Brethren and here I am. I can honestly say that it was one of the best decisions I've ever made. After relaying that brief story to fellow Freemasons, they usually ask if there is really much Masonic Art on display in an art museum. The answer is: It depends on how loosely you define the term. Much of what we would consider “Masonic Art”, like tracing boards and such, won't be found in the galleries of a non-specialized collection. However, there are many pieces that fit into the overall theme. Some of the other items I see on a regular basis, not mentioned above, include a medieval Chapter House brought over stone-by-stone from France, Babylonian carved reliefs, Crusader-era swords, a tapestry depicting Godfrey de Bouillon, portraits of George Washington, a cornerstone set in a Masonic ceremony by Paul Revere, marble statues of Gods & Goddesses, dozens of paintings portraying the Holy Saints John and Classical styles of architecture utilized within the museum buildings themselves. There's always plenty there if you look for it. When mentioning museums and Masonry together, I've found that I am preaching to the choir much of the time. However, I also meet many Brothers who never visit museums. They'll ask what relevance museums might have to an average Masonic Lodge today. Some correlations should be obvious, but my basic viewpoint is that the quest for enlightenment is not by any means a one-way street. If Museums led me to Masonry, certainly it could work the other way around. A couple things come to mind. One is simply practical. Much of Masonic Ritual centers on events, allegorical or not, which take place in Ancient History. The distant past is often an abstract concept to fathom, hard to visualize, and it helps to place things in a relatable context. Objects in museums provide a tangible association with the past, a physical connection with history. Another aspect of Museums appeals to the core purpose of Freemasonry, namely self-improvement... the very thing which initially drew me to the Craft. Walking through the galleries of a Museum, one is surrounded by the wondrous creativity of mankind. And I've found that by looking at the great achievements of others, we can come to discover the true potential within ourselves. Bro. Travis Simpkins is a freelance artist with clients throughout the United States and Europe. He currently works on projects for the Supreme Council, 33°, NMJ in Lexington, Massachusetts. He also serves as a portrait artist for the Grand Lodge of Massachusetts, Grand Lodge of New Jersey and other jurisdictions across North America. Bro. Simpkins is a member of Morning Star Lodge A.F. & A.M. in Worcester, Massachusetts. 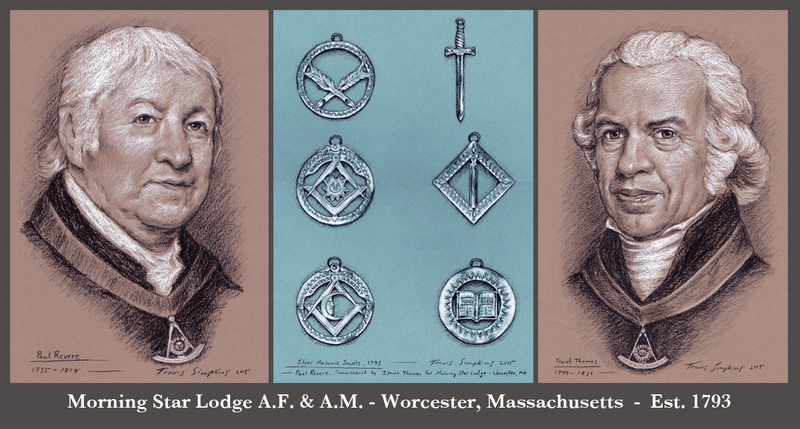 He is a 32° Mason in the Ancient Accepted Scottish Rite, NMJ- Valleys of Worcester and Boston. He is also a member of Eureka Royal Arch Chapter, Hiram Council of Royal & Select Master Masons and Worcester County Commandery No. 5, Knights Templar. What If We Actually Did Masonry?